Hi everyone it's Gwen here from This and That by Gwen with a fun new cut file to share with you. I really love Halloween, I love all the fun colors and little ghosts and goblins and of course I love the treats especially if they are chocolate!! This new file called Frankie Cone and Cake will be in the SVG Cutting Files store on Friday. For the cone shaped one I made it into a shaped card and the cupcake one I put it on a little sack and decorated it with DP and sealed it shut with Washi Tape. Wanted to tell you again how adorable this is!! 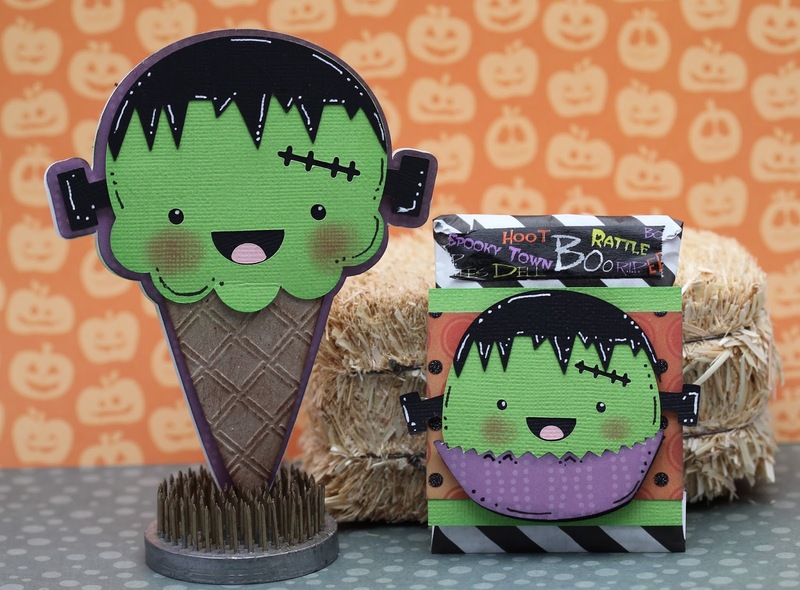 great items for Halloween treats ! !